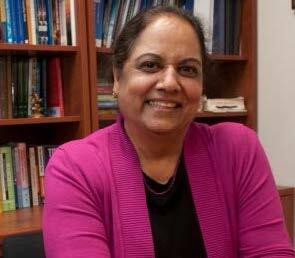 INDIANAPOLIS -- Indiana University-Purdue University Indianapolis Interim Vice Chancellor for Research Simon Atkinson has announced the appointment of Pratibha Varma-Nelson as founding executive director of the campus’ STEM Education Innovation and Research Institute, effective June 1. The institute builds upon IUPUI’s substantial strengths in science, technology, engineering and math education and research. It is dedicated to the development, dissemination and promotion of STEM education programs and initiatives across the campus and in collaboration with external partners. As executive director, Varma-Nelson will lead the institute in the realization of nationally acclaimed STEM research and education initiatives, supported through external funding. Additionally, she will coordinate, strengthen and grow campus STEM efforts; lead the development of major grant proposals; collaborate in recruiting faculty with a focus on STEM education, research and innovation; and broadly promote IUPUI STEM efforts nationally and internationally “Pratibha’s vast knowledge, leadership and passion for STEM education, research and innovation make her an ideal selection for this important position,” Atkinson said. “Her extensive experience will help the campus and university further one of its strategic priorities of accelerating innovation and discovery through research and creative activity and will also help us capitalize on the outstanding faculty expertise in STEM education at IUPUI.” Varma-Nelson is a nationally recognized leader in STEM education and research for her pioneering work in the development, implementation and dissemination of Peer-Led Team Learning -- a model of teaching undergraduate STEM courses that introduces peer-led workshops as an integral part of the course. She has co-authored many publications; made numerous presentations in national and international venues; and regularly reviews for the National Science Foundation, the Journal of Chemical Education and Cell Biology Education, among others. Serving as the executive director of the Center for Teaching and Learning, Varma-Nelson joined IUPUI in 2008 as a professor of chemistry in the Department of Chemistry and Chemical Biology. Some of her accomplishments in her current role include improving the quality of grant proposals submitted for National Science Foundation CAREER proposals as well as of proposals submitted for the creation of innovative formal and informal teaching and learning spaces; creating the Curriculum Enhancement Grants program, which provides faculty with resources to pursue innovative pedagogical techniques, technologies or materials or create new courses; sponsoring and hosting symposiums, workshops, webinars and high-profile speakers; and creating the teaching assistant development programs that serve graduate students who would like to learn about or increase teaching effectiveness. At the international level, she has informed the formation of a Center for Teaching and Learning at Symbiosis International University, India; University of Padua, Italy; Atilim University, Turkey; and Sun Yat-sen University, China. “I am truly honored to be appointed as the founding executive director of the STEM Education Innovation and Research Institute,” Varma-Nelson said. “I look forward to my future collaborations with IUPUI faculty, staff and students as we push IUPUI to the forefront of STEM education research, innovation and practice.” Varma-Nelson earned her B.S. in chemistry from Poona University in India and her M.S. in chemistry and Ph.D. in organic chemistry from the University of Illinois at Chicago.